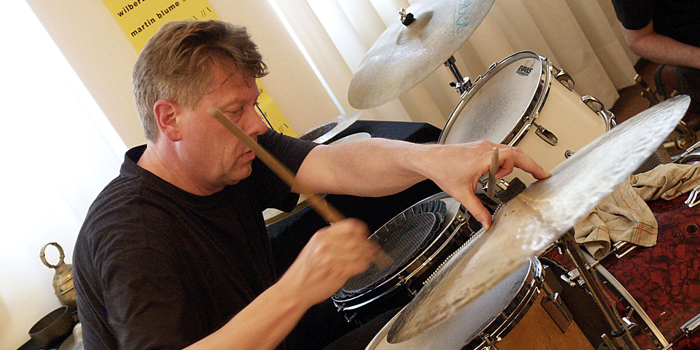 Since 1983, percussionist Martin Blume has worked as a performer and composer with several musicians and in different musical situations, both as a collaborator and leader. Musicians that Blume has worked with include Peter Brötzmann, John Butcher, Lol Coxhill, Frank Gratkowski, Earl Howard, the late Peter Kowald, the late Werner Lüdi, Marcio Mattos, Phil Minton, Jay Oliver, Melvyn Poore, Richard Teitelbaum, Sebi Tramontana, Phil Wachsmann, and many others. 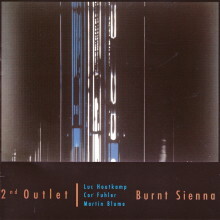 Blume’s own projects include Lines with Axel Dörner, Jim Denley, Phil Wachsmann, and Marcio Mattos, FOURinONE with Luc Houtkamp, Johannes Bauer, and Dieter Mandersheid, Axon with Phil Minton and Marcio Mattos, Manufacts with Georg Graewe, and duos with Phil Wachsmann and Xu Feng Xia.